Might as well get the most controversial one out of the way first. Charlie Hustle is one of the greatest baseball players of all-time, and his status as someone who may never be enshrined in the HOF can’t keep him off this list. 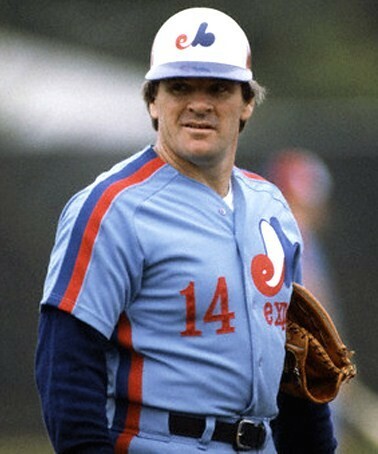 Rose is more deserving than 75% of the players currently immortalized in Cooperstown, so it’s no surprise the legend’s less-than spectacular time in Montreal has been long forgotten. You can BET on it. The Kid played his most meaningful and productive baseball in Seattle, but the Cincinnati native was adored by Reds fans despite his inability to play a full season. Many Red backers, although irritated as all hell, were patient through the broken bones, smashed groins, and pulled hamstrings. 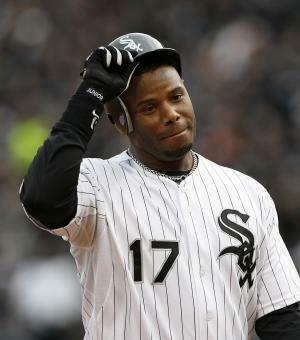 Griffey’s short stay in Chicago is something we all (including us Sox fans) would just like to go ahead and pretend it never happened. Henderson played about a decade too long, and for about 5 too many teams. The selfish stolen base and run king didn’t wow anyone in Boston, and you would have a very hard time finding someone draped in this jersey, unless of course they refer to themselves in third person, and are from Planet Dipshit. Guess that happens when you bat .223 with 8 stolen bases. The Hawk completed his HOF resume in Montreal & Chicago, and couldn’t stay on the field very long those last 4 seasons in Boston and Miami. 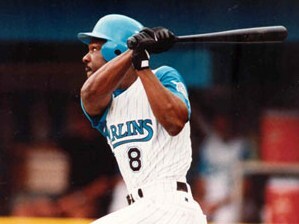 To be honest, the only Marlins jersey anyone should ever be wearing is an invisible one. On a side note, Dawson is widely revered for being the focal point in a made for TV movie called “The Cap” back in 1984. A young fan gets an autographed Expos hat, and his dad sells the hat after getting laid off. That’s all I remember, and I’m sure you’re all frantically trying to find it now after that wonderful summary. I’ll go ahead and just stop talking. Many Red Sox fans would argue a Yankee jersey is also untouchable for the former hitting champ, but Boggs won a World Series in New York. Who can forget Boggsy parading around the field on the back of a NYC cop’s horse, or going on the DL after an ill-fated attempt to put on cowboy boots? 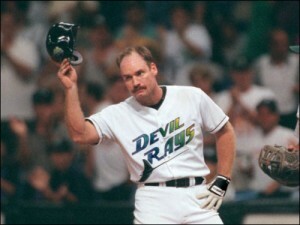 Wade batted .301 in 90 games his last season in the bigs, but when you are wearing a hideous jersey like Tampa’s original ones, sales are gonna be low. When the Say Hey Kid was traded to New York, the Giants lost their franchise’s best player ever. 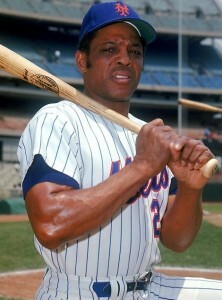 Mays played two seasons with the Mets, and fell one game short of winning a second World Series title. Although not completely unwearable, this jersey rivals a Jordan Wizards one. This one’s a no-brainer. 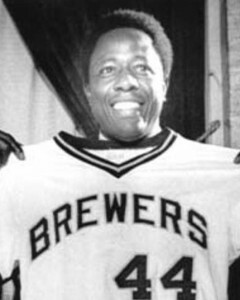 If a Brewer fan wants a Hammerin’ Hank jersey, you get the old-school Milwaukee Braves one, no questions asked. Aaron’s return to Milwaukee was a “back to where it all started” moment, but anything without a tomahawk on it is not a real #44 jersey. This would be like getting a Patrick Roy Nordiques, Vince Young Oilers, or Stephen Strasburg Expos one. No thanks. The Big Hurt is a Chicago icon, and his time after lacing up the spikes for the White Sox was hard to watch. 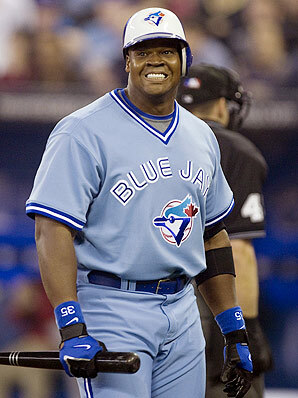 The giant slugger revived his career in Oakland, but an extended stay in Toronto (before going back to Oakland) pretty much closed the door on a great career. 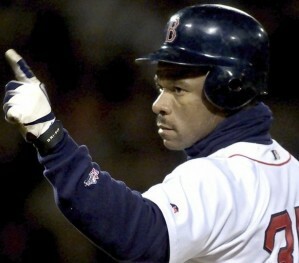 Love him or hate him, Thomas will have a bust in Cooperstown someday.